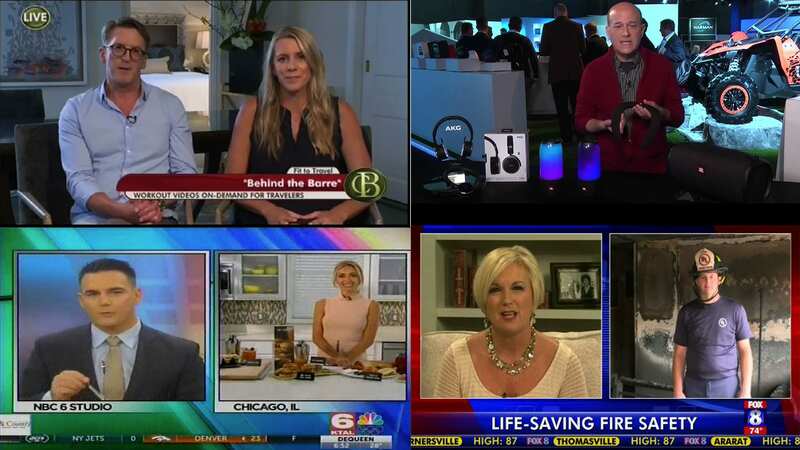 A Satellite Media Tour allows you to effectively communicate your key messages across 25-30 markets in the US or globally if you have the right spokesperson or story. It’s efficient—utilizing only five to six hours of your spokesperson’s time. We get you bookings on television, radio, and digital. You can easily add live multi-channel social video streaming to your SMT. This adds distribution to the social sites of multiple influencers including Facebook Live, Periscope on Twitter, YouTube and LinkedIn. The end result – you will be able to turn your experts and leaders into influencers, create awareness for your new campaign, or win the competition for attention at trade shows and events. When prestige brands like JW Marriott and The Joffrey Ballet partner, a picture can be worth a thousand words…or more. Especially when it’s live, interactive video, 36 floors above Manhattan in a JW Marriott Essex House New York suite. The production introduced a new in-room workout video choreographed by the Joffrey Ballet. This Satellite Media Tour was seen all over the country. Also shown: Campaigns for Shriners Hospitals, Samsung and FAO Schwarz with Katie Holmes.